Flat - 45, Kolkata - 700 054, West Bengal, India. Shri Rabindra Nath Bhattachariya born in 6th November 1921 in the village Majilpur. (presently in South 24. Pargona ). After his early education he pursued higher studies and obtained Ph.D. in Zoology in 1950. While in many colleges and educational institutions he developed an association with the Course of Teaching it was research which took him to North Pole. In the fifties he took an interest in writing and then began his journey as a writer under the penname of Bodhisatwa Moitreya . He has also proved his mettle in Sculpture and showed that the origin of sculpture dated back 20000 years at the time of primitive man. He was a Philologist, Researcher and Eurologist. He was the director of Deep Sea Fishing in Govt. of India. He resigned from his job in the year 1968. He wrote on Literature & Science together in Bengali with many literary articles. He knows Tamil. He showed that eighty percent of Bengali language includes Tamil. “Jibon Bijyaner Aporup Katha” and "Maha Biswer Khutinati" which was written by him on the topic of Science. He was well known with the origin of Indian Sanskrit Language. He was travel thirsty. He was travel all over the world excepting USA. “Uttar Sagarer Tire” was his travel related Book. 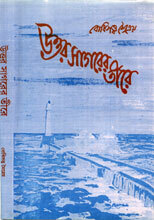 Other books are Jhinuker Patea Mukto, Mandhatar Mukh and others novels. Reader always find him a protesting writer in "Kabandha Uddhar Pala" , a novel of epic style. "Darpan" was his last story book which was published in the year 2008. At the last moment of his life, still he is writing “Probandha Uddhar Pala”.